Jenea Monique Payne, the children’s mother, told police she left the three children in the SUV as she walked into Stop-N-Shop. 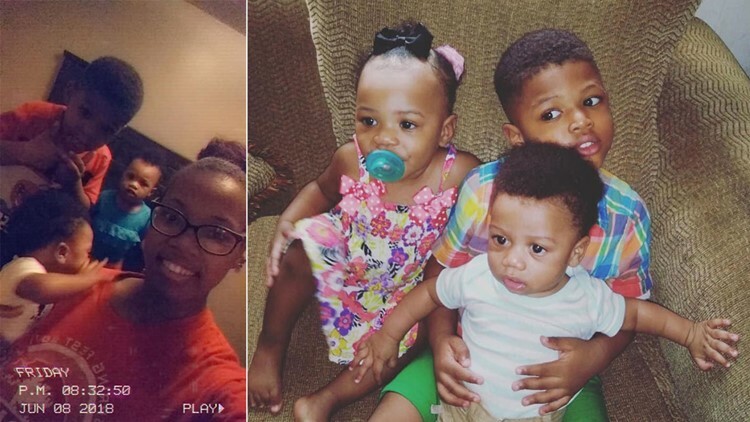 LELAND, Miss — Two young boys died when the SUV there were inside rolled into a creek while their mother was shopping inside a convenience store in Mississippi, police say. The Leland Police Department says it located three children stuck in the woman’s locked Nissan Pathfinder as it drifted through the water. The fire chief and several others jumped into the creek and attempted to burst the windows out of the vehicle in order to get the kids out. As the vehicle floated down the creek, they were able to rescue one of the three children, the woman's 2-year-old daughter. Conditions then became too dangerous for rescue crews, and the rescuers had to swim back to shore as the SUV “drifted further down and into the creek,” police said in a Facebook post. A dive team was called to the scene, and the bodies of the woman's two sons, ages 4 and 1, were later recovered after the vehicle was pulled from the water. Police shared photos of the children on Facebook. The children's mother, 25-year-old Jenea Monique Payne, told officers she left the kids in the vehicle so she could go inside a Stop-N-Shop. When she came back out of the store, the vehicle was gone and had rolled into the creek.